Exit Rate: Don’t confuse this with Bounce Rate. Bounce rate indicates low quality traffic typically, and in my experience, doesn’t correlate with Conversion Rate. Exit rate, however, could be an indicator of poor content, site speed, etc. and is more relevant (in general - though there are some exceptions). Another way I recommend to segment is by device type - you may find that improving mobile conversions alone can boost sales significantly. Don’t get discouraged by lower mobile conversion rate though, since this is normal. If shipping isn’t free, be upfront about it. Show costs as early in the shopping process as possible. I adamantly recommended split testing Free Shipping to see if it improves your Conversion Rate and Average Order Value enough to justify the cost - you might be surprised. Display your phone number in the header. Be easy to contact, via live chat, phone, email and FAQ pages. KissMetrics has 100 CRO Case Studies, VWO has Best Practices for Beginners, and Crazy Egg has a 45-Point Checklist. 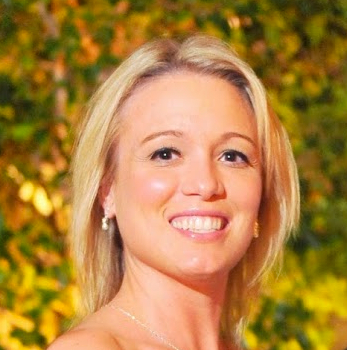 Jenna Warren is a Magento Certified Solution Specialist at Creatuity. Jenna advises eCommerce merchants on long-term eCommerce strategy and sustainable competitive advantage in an ever-changing digital environment. Passionate about eCommerce, Jenna speaks and writes about Conversion Rate Optimization and other strategies for success. Specializing in Magento eCommerce design, development and support for leading retailers, Creatuity’s talented team of Magento developers and eCommerce professionals has expertise and passion to take your business to the next level. If you have ambitious growth goals, or simply not enough time in the day already, it’s time to hire a CRO expert. Their expertise isn’t ‘cheap’, but extremely valuable, and yields returns quickly. Creatuity has helped numerous Magento merchants with improving Conversion Rates, and we’d be happy to chat with you more to see if we’re the right fit for your business.